Wimbledon 2017 has now begun! Taking place from June 25th to July 14th, the annual tennis tournament began all the way back in 1877, and is still just as big a deal today. While some buy tickets to watch the matches in person, others take to venues with big screens elsewhere in the country, while some (like me) simply choose to watch at home. 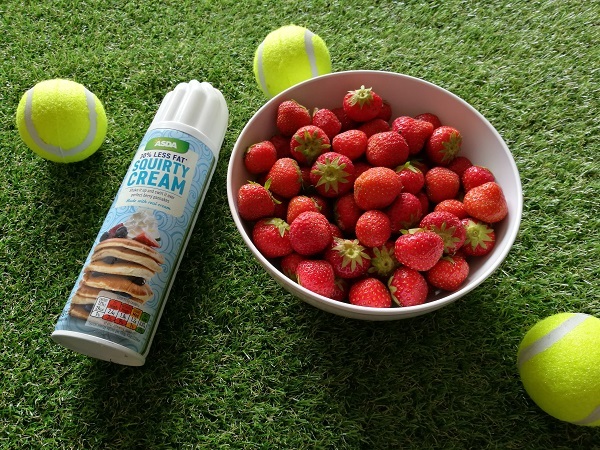 Wherever you’re watching, you need appropriate food and drink for the occasion…and to me, nothing says “Wimbledon” more than strawberries and cream. 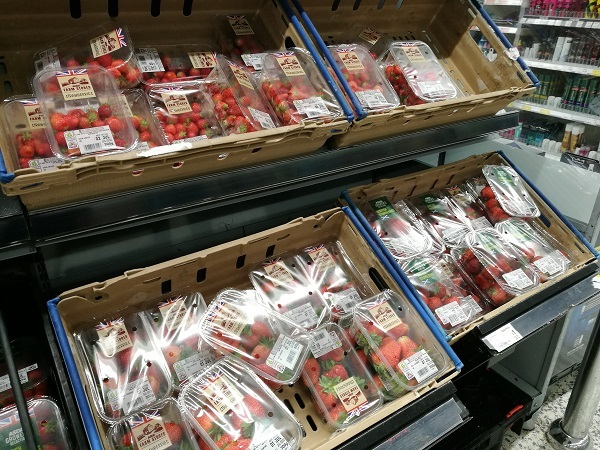 You know that summer’s here and Wimbledon’s arrived when you head to your local Asda to find the whole of one end of an aisle dedicated to these sweet summer berries – and many of the shelves already depleted of their bounty. My challenge? To come up with a Wimbledon-inspired recipe – and while I toyed with the idea of doing something Pimms-based (I’m going to attempt a recipe for Pimms granita down the line…), I decided that strawberries were the way to go. 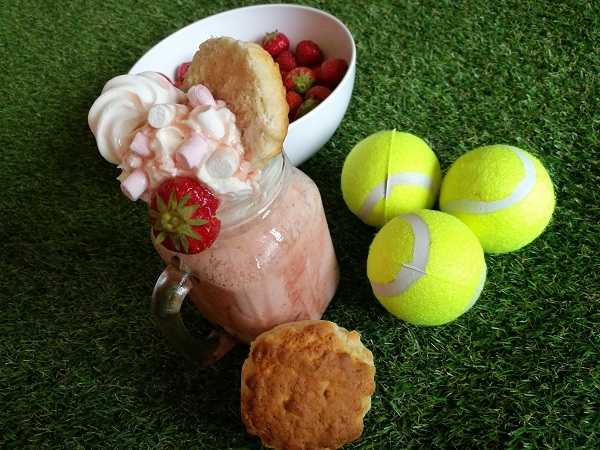 Google “Wimbledon recipes” and you’ll find plenty of ideas as to how to incorporate strawberries and cream into a dish fit for the tournament: shortbread-based desserts, cupcakes, jellies…the list is endless. But I wanted to try something a little different, and so embracing the freakshake trend, I came up with a creation that’s definitely not one to slurp down just before playing a match point. 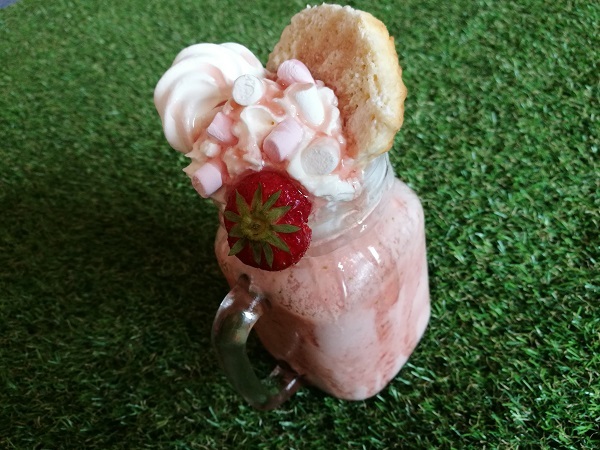 Raspberry sauce, scones, mini marshmallows and meringues were the way to go, I’d decided, so that this freakshake wasn’t just about the strawberries and cream, but in order that it had a distinctly afternoon tea vibe too. Note that I chose a vanilla ice cream that includes real Cornish cream too, for an authentic touch. I began by putting my glass in the freezer to chill – I definitely advise doing this before serving, as it keeps the whole thing cooler for longer once made, and allows your sauce to stick a little better to the inside of the glass (you’ll see what I mean shortly). 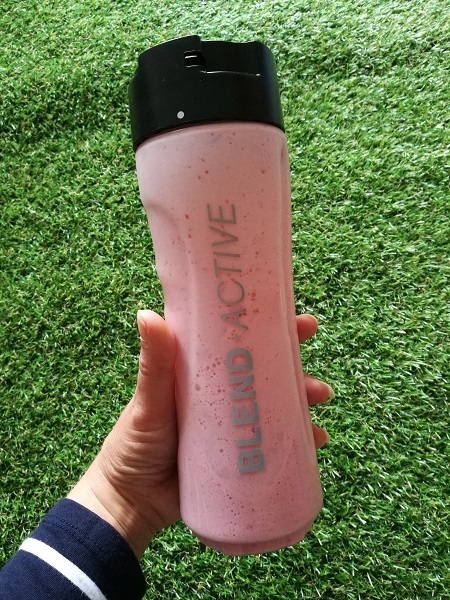 My first task was to blitz up the strawberries with the milk and the ice cream until thick, creamy and smooth – my Breville Blend Active was the perfect tool for the job. And then, it was time for the fun part…the build! After swirling the raspberry sauce around the inside of the glass, I poured in the milkshake, topped with squirty cream and stacked up all the bits on top to make something truly, truly decadent, finishing with a final swirl of the sauce. Start by placing your glass in the freezer so it chills right down. In a blender, combine the milk, strawberries and ice cream, and blend until smooth. Remove the glass from the freezer, and swirl the strawberry or raspberry sauce around the insides. Pour in the milkshake, and top with squirty cream. Artfully arrange the scone half, mini marshmallows, mini meringue and fresh strawberries around the top of the glass, and drizzle with more of the sauce. Feeling inspired? 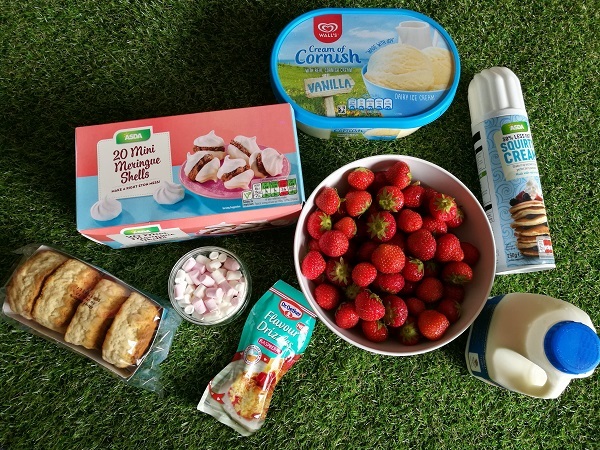 What’s your favourite strawberries and cream-based recipe? I’ve yet to embrace the Freakshake revolution but my kids would love this! Thanks for commenting, Annwen! It’s a good one for the summer…definitely kid-friendly too!